I went to my city library last week to do some research for today’s post. 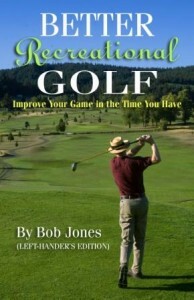 I wanted to find out what the golf instruction books had to say about balance. Imagine my surprise when I found out that none of them addressed this rather important fundamental. If balance was mentioned at all, it was in one sentence which read something like, “Balance is the key to playing good golf.” And that was it. No discussion of why, no advice to how to get balanced, how to stay balanced, nothing. 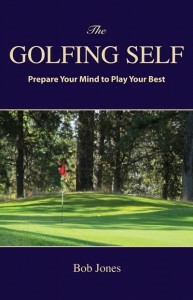 Fortunately, I do have one book at home, Byron Nelson’s Shape Your Swing the Modern Way, that does have several pages on balance. I’ll pass on his thoughts and add a few of my own. The reason to stay balanced should be fairly obvious. Hitting the ball cleanly requires the clubhead to be returned to the ball centered and square on the exact spot it was at address. When you lose balance sometime before contact, it will be difficult to find the ball again with the precision required. Even if you lose balance after contact, that’s only a sign that you lost balance earlier and were able to hang on for a bit. Contact still suffers. 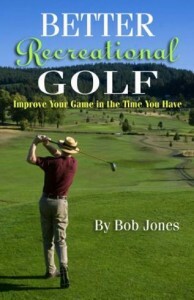 One spring morning I showed up at the course for a 9:30 a.m. tee time to find the first tee full of players. There had been a frost delay, so about eight foursomes ahead of us had yet to tee off. I hung around to watch everyone swing. This is what stood out. A clear majority of the players ended their swing with their weight firmly on their right foot, if not falling backward in that direction. You can imagine what the resultant shots looked like. In 2003, when Suzy Whaley was getting ready for being the first woman to play in an PGA event since Babe Zaharias, or I should say the first woman who earned her way in, she spent a lot of time working on her balance. She knew that a clean hit depended on balance, and the difference between a clean hit and one that is just a bit off would tell in competition. Good enough for her, good enough for you. These are Nelson’s thought on how to achieve balance and how to keep it throughout the swing. Start with a balanced position at address with the weight evenly distributed between each foot and also from the toes through the heels. Having more weight in one place forces you to make a counter-movement at some point during the swing. It is easy to overcompensate and lose the balance you were trying to keep. During the backswing, weight shifts to your right foot, but to the inside. During the downswing, weight shifts to the left foot. The key to maintaining your balance when all this is happening is to keep your head still and “swing out from underneath your head.” This does not mean your head must be rigid and immobilized. That will create tension which infects the rest of your body. Just keep your head in the same relative position and swing freely underneath it. I use two tests to find out if I’m well balanced. The first one is at address. Can I come up on my toes without having to lean my weight forward first? If so, I am in a balanced, athletic position. It’s difficult to test yourself during the swing, so the second test comes at the finish. Can I lift my right foot off the ground as (not after) the club comes to a stop and hold my balance for a count of ten? Just for fun, you might try standing on one foot and swinging a golf club. This little exercise will make you keenly aware of what good balance feels like, even when you swing standing on both feet.